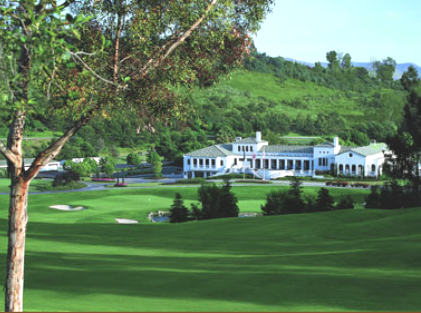 Monarch Beach Golf Links, is a Resort, 18 hole golf course located in Dana Point, California, 45 miles south of Los Angeles. 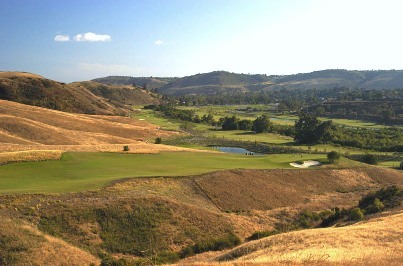 Monarch Beach Golf Links first opened for play in 1983. The course was designed by Robert Trent Jones Jr. This links course has sand bunkers spread throughout its design. 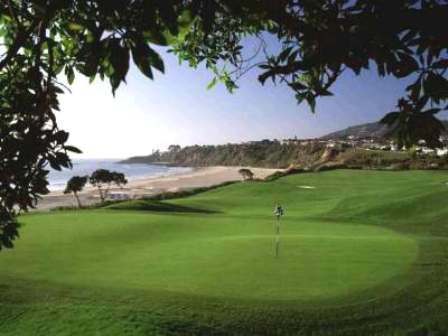 The course winds along a cliff overlooking the Pacific Ocean with views of the ocean and Monarch Beach. Two holes are located right above the ocean. Par for the course is 70. From the back tees the course plays to 6,601 yards. From the forward tees the course measures 5,050 yards. The longest hole on the course is # 7, a par-5 that plays to 612 yards. The shortest hole on the course is # 17, a par-3 that plays to 172 yards from the back tees. Watch out for # 7, a 612 yard par-5 challenge and the #1 handicap hole on the course. The easiest hole is # 17, a 172 yard par-3. 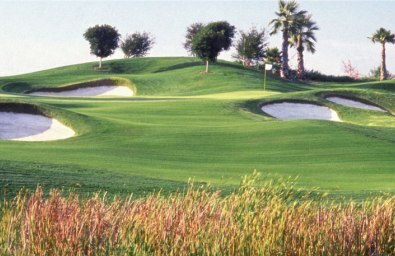 The course has extensive bunkering, more prominent on the shorter holes. Have the holes have water that comes into play. With ocean breezes often a factor, you should consider this a shot-makers course. #12 is memorable, it starts off with you hitting toward the ocean with a dogleg left to a large green complete with four-foot-high undulations. Monarch Beach Golf Course is a fun course but it does require a round or two to understand the layout of some of the holes. The staff at Monarch Beach are definitely concerned about the pace of play for all golfers and if keeping up with the group in front of you is an issue, they will politely but persistently remind you to keep it moving. One of the benefits is that the rangers will guide you on the best ball placement on some of the unusual holes. Yes, teeing off on a par 5 with a 5 iron may seem odd, but it keeps you in play on #7 and the pin is still reachable for par. I really like this course, but if a player starts to struggle or a novice player is in the group, the attention of the rangers can be a bit frustrating. Fun course to play. Front nine was challenging with a couple strange layouts. Knowledge of the course would have helped. Greens were in excellent condition. Staff were fantastic! Ambiance was great. No driving range was disappointing. Fairways were over seeded so were slow and cart path only which caused very slow play. Overall a great day on the course! 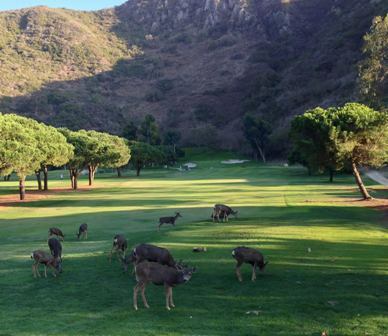 Friendly staff work hard to insure the golfer has a good experience at Monarch Beach. The views from this course are outstanding. A "must play" course. Pricy, but just pay and then forget it. Go play. This is an updated review for 2013: Some very nice changes are in store for those who have not played this gorgeous course since OB Sports assumed management. Pricing remains very agressive with OB's inexpensive loyalty card. We payed $76, a real bargain in Orange County for a course of this caliber and ambiance. The greens are always in mint condition. Likewise the tee boxes, many of which have been laser leveled since OB took over. Flowers have been planted everywhere, which gives the course a nice resort feel. Signature hole #3 on the ocean is worth the visit. 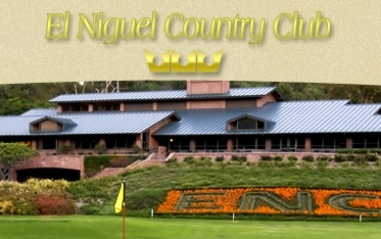 Staff treats guests on par with the staff at El Niguel, a private club where I am a member. Lots of traps and narrow fairways on the front nine make this course a lot tougher than it looks. Fairway conditions are the only weakness. 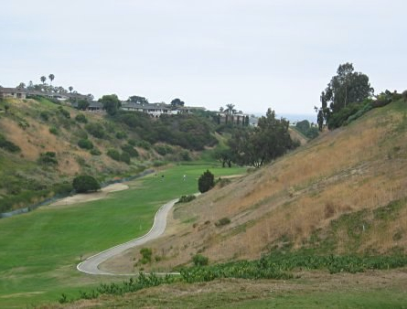 In Dana Point they are probably required to use reclaimed water, which may be one reason the fairways can get patchy. We caught this course on a day that the greens had been aerated earlier in the week, thus they were offering discounts. We received the hotel price because the clubhouse thought we wouldn't finish our round, but did anyway, so a great deal. Thoroughly enjoyed playing the course, but was frustrated at the lack of driving range . . . so warm-up your swing elsewhere. Staff was fantastic! Would definitely play here again. it's only a value if you pay half price. otherwise not worth it. no driving range. marshall's need to learn manners. club house is great, service with starter, valets, bag boys, pro shop and club is excellent. course has a nice layout, except there are a few strange holes. overall, love to play here... with a discount! Quality course worth experiencing. Troon does a nice job. Conditions always seem to be top notch. Layout challenging, especially #7 par 5, enjoy the views from #3 as you putt adjacent to the beach. Wind plays a factor so add club. Staff friendly and accomodating. With new aggressive pricing (through a very reasonably priced annual loyalty program), as well as an excellent Troon management staff and new ownership that is putting serious money into course improvements, Monarch Beach now ranks at or near the top of anyone's "must play" courses in South Orange County. 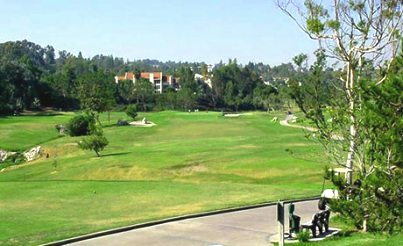 If, like me, you always consider the bang for buck, this tract is a winner, far more reasonably priced than Pelican Hills, its closest ocean front competitor. Tees and greens are always immaculate. Several fairways have been re-sodded this year. Signature hole #3 right on the ocean is gorgeous. While not overly long, the layout on all holes is tough, but fair. The terrain is varied, with no two holes alike. I highly recommend this course to my friends and play it as often as I can. If anything, this is my home course. My wife and I play here 3-5 times per month. We really enjoy the course, but it lacks a practice range (only hitting nets). Just o.k. for the price.